The story of this new collection goes back few years when we both started to get away from the city to discover the great outdoors, both hiking and riding as well as kayaking and bike touring. The more time we spent out there, the more we felt the urge to develop a more technical line for those who prefer lightweight, durable materials, technical solutions and fabrics which require minimal maintenance when it comes to washing off the dirt after a long adventure. The final decision has been made this summer, when we planed our micro adventure to Borsod county, an absolutely stunning area of Hungary with unique sceneries, such as the country’s deepest lake at Rudabánya. The lake and it’s diverse surroundings was love at first sight. Eventually not every adventure has to happen somewhere far in a remote place. We often forget to look around the corner and explore the beauty of our surroundings. If you still decide to stay in the city, Rudi and it’s companions will perfectly serve your daily urban routes without making any compromise on style and design. The collection consist of 3 models in various colors but we can only provide a limited quantity of each. As for the start, we will have 10 pieces of Manu, the handle bar bag, offering also the supporter front rack, which keeps this little guy away from the bike, providing extra support and stability when it comes to carry some heavy weight. ‘Samu and Samu’, the pannier bag comes in pair, if you wish to balance your right and left, but you still have the option to separate the twins if you need only a half pair. The hooks provide a super easy application of the bags and still hold them tight to the rack, avoiding all kinds of shaking, moving, dropping and falling. 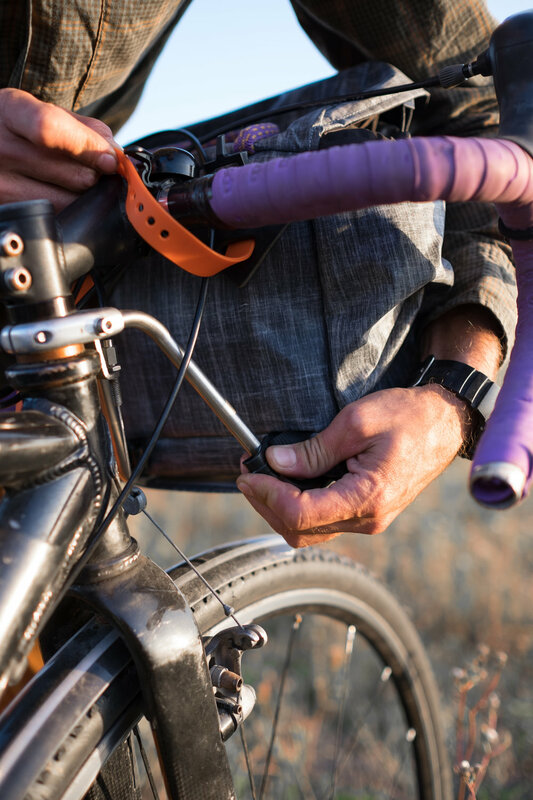 The universal position of the attachments makes it possible to apply the panniers on a wide range of rear racks. Nevertheless, please, examine the dimensions of your rack to make sure the bags will fit on smoothly. If you have any doubts, drop us an email anytime. As for the end, Rudi, the backpack is the most comfy bag we have ever made. It does not only protect your gear from rain due to it’s water-resistant base and the additional dry bag, as a removable lining, but it is also super light, extremely durable and has an ergonomic back and shoulder pads for extra comfort. Rudi also owns a small inner pouch, which can be removed easily if you need to use it separately. 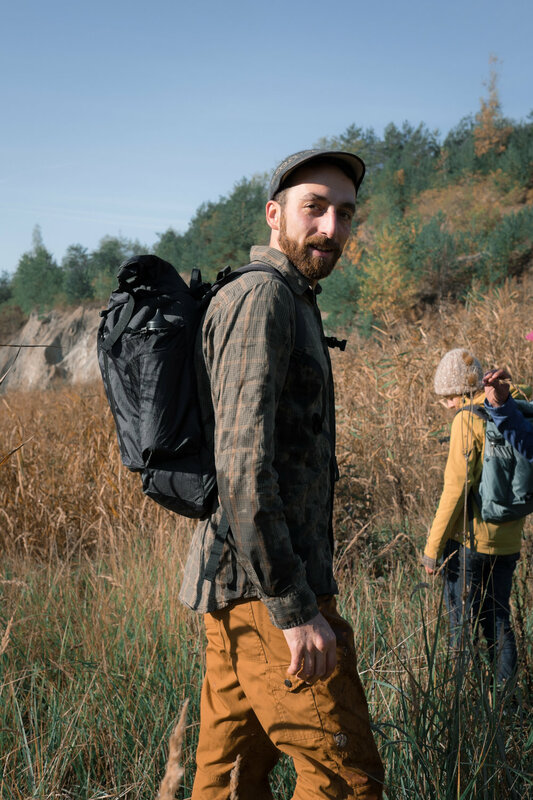 All in all, when it came to design this functional backpack, after the choice of the material as a priority, we focused on multiple layers and removable functions so you can add and reduce parts for you own comfort level, balancing the optimal weight of the bag. Rudi comes in 5 different outfit, limited to 15-20 pieces depending on the your choice of color.